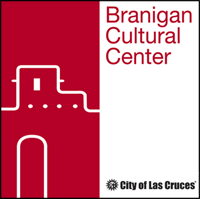 The Borderland Fridas will present a workshop on Retablos at the Branigan Cultural Center on Saturday, February 21 from 11am-1pm. To celebrate the very first Spanish Colonial Arts Society’s Santero Market coming to Las Cruces, the Borderland Fridas are offering a retablo making workshop. Participants will be provided with an unfinished wood retablo base and paints to create your own retablo! A guest speaker will discuss the importance of the retablo in devotional art along with the history and meaning of this New Mexican devotional and cultural artform, followed by a reading of Rudolfo Anaya’s The Santero’s Miracle. Although retablos are generally used to display religious devotion, specifically those of the Catholic faith, the workshop will be non-denominational and open to everyone, of all beliefs and religions. We welcome you to express your faith, your devotion, or your gratitude in this ancient and traditional art form that has become very popular here in the Southwest and Borderlands. Cost is FREE but space is limited. Please make your reservations by sending an email to: theborderlandfridas@gmail.com or call Pamela Enriquez-Courts at 575-520-5246. For more information, please see: http://theborderlandfridas.wix.com/home#!retablo-workshop/c14k1.